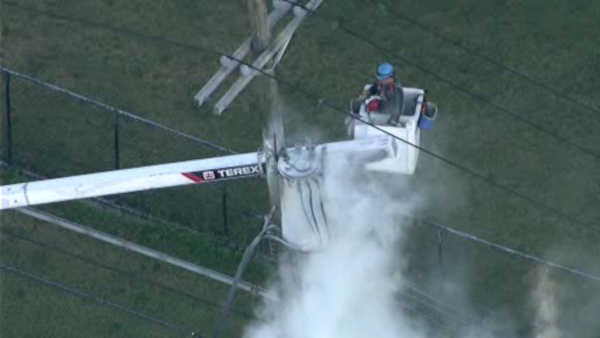 SUNNYSIDE, Staten Island (WABC) -- ConEd has restored power to hundreds of customers after a transformer fire. ConEd was on the scene at Victory Boulevard and Little Clove Road in the Sunnyside section Thursday morning, where a transformer caught fire or exploded shortly after 6 a.m. The street below the transformer was originally closed as the fire was being extinguished, but has since reopened. 500 customers in the Sunnyside section of Staten Island were without power.